These are absolutely delicious and I use the seasoning for my Tilapia even when I'm not making them into Tacos. It packs a nice punch and would go great on other things like chicken, pork chops, shrimp and fish. Combine the dry seasonings in a small mixing bowl. Whisk to combine lightly. 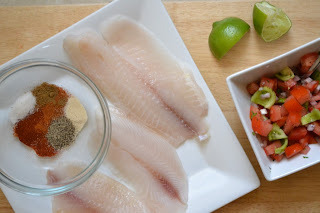 Lightly dust each side of the tilapia filet with the seasoning blend. Heat the olive oil in a large skillet over medium heat. Add the tilapia to the pan and cook the tilapia for 5 minutes on each side. Warm the tortillas. 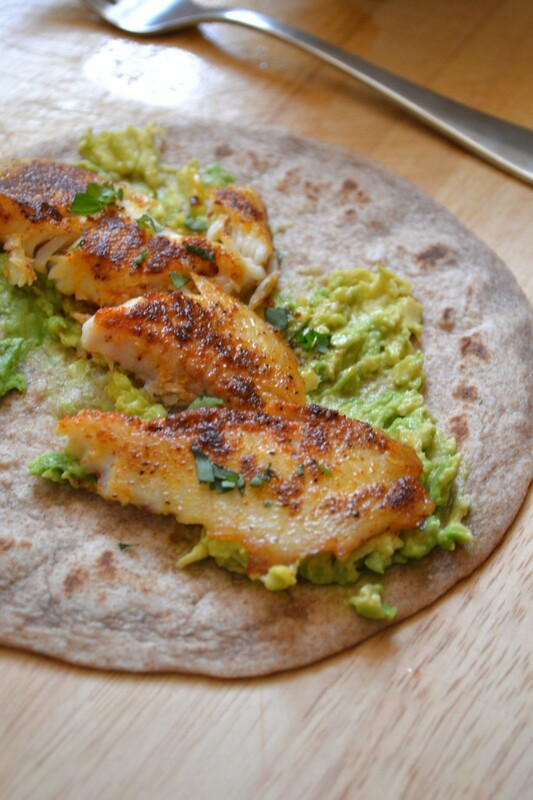 Smash a little bit of avocado on each tortilla. 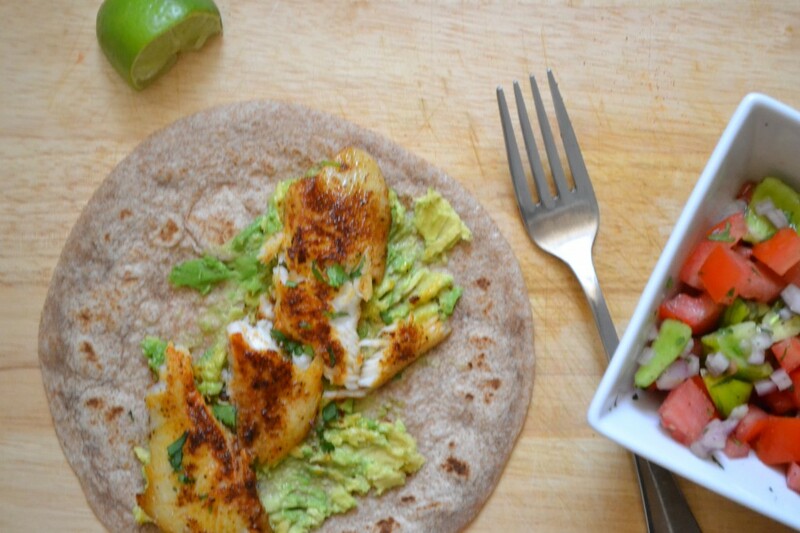 Place a little more than half of a tilapia filet on to each taco. Break the filet apart a little. Serve with a bit of fresh pico de gallo, salsa or some jalapeno slices.